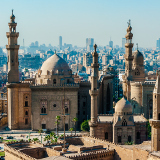 Cairo is the capital city of Egypt and home to one the world’s oldest civilisations dating back to 2000 BC. The famous Giza pyramid complex and Nile River are historical features of Cairo. The city is a mecca of culture, religion and ancient art, and tourists flock to Cairo to experience the merge of ancient and modern worlds. Cheap flights to Cairo are now available for a limited time only, so book your flight today and experience the wonder and charm of this ancient city. Cairo is home to Cairo International Airport (CAI), situated 45 minutes from the city centre and is easily accessible by car. CAI serves a multitude of airlines, including Egypt Air, Emirates and Etihad Airways. Direct international flights to Cairo are available departing from Johannesburg. The average flight duration from Johannesburg is approximately eight hours. The architectural wonders of the Ancient Ruins are on any traveller’s bucket list. From Gizeh Plateau you can see the majestic Sphinx and all three major Pyramids. 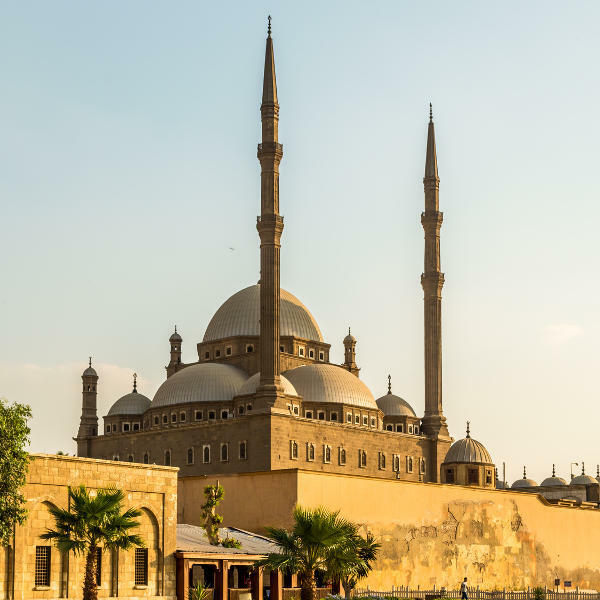 With a rich history dating back thousands of years, museums like The Coptic Museum and Museu do Cairo provide detailed insight into this ancient civilisation. 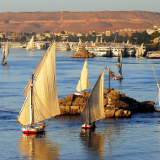 As the lifeline of Egypt, the Nile River is home to many cruise ships. Enjoy a day tour or indulge in a romantic dinner cruise along this natural wonder. The best time to visit Cairo Is between October and April. Although these peak seasons draw large crowds, the temperatures are much more welcoming. Be aware that ‘high seasons’ of Christmas and Easter are when hotels and cruises increase their prices. If you wish to experience local festivities, go during Ramadan. Avoid travelling to Cairo between June and September as the heat can be suffocating and the city experiences terrible pollution. Egypt is a cradle of civilisation with a rich history spanning thousands of years. Similarly, Cairo is a mesmerising metropolis that never fails to impress visitors. The city is buzzing 24/7 and offers a continuous source of contrasts that adds to its millenary charm. The laid-back lifestyle of Old Cairo co-exists with posh high rises and luxury hotels, while huge malls are never too far from labyrinthine bazaars. Nile river cruises are as popular as donkey cart rides as you take in the surrounding natural landscapes. Whether you’re passing by or spending a few days, the colourful festivals, friendly locals and historic landmarks will captivate and inspire you. Compare and book your cheap flights to Cairo with Egyptair online at Travelstart! 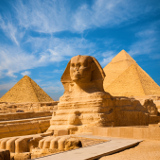 South African Passport holders do require a travel visa for Cairo and Egypt. Visas are issued free of charge by the Egyptian authorities for SA passport holders. Visas for SA passport holders must be obtained prior to your departure for Cairo. Please note that Egypt Air will not accept SA citizens as passengers without a visa. Your passport must be valid for 6 months beyond the date of your arrival in Egypt. Cairo is considered to be a fairly safe city. As in any touristic city, a general awareness is recommended. The market place often attracts pick-pockets, so keep your valuables close and don’t flash expensive jewellery or equipment. Some locals will try to lure you into their stalls for a “cup of tea” – try to avoid indulging them as you may feel obliged to spend money on unnecessary items. Tap water is fine for showering, but stick to bottled water for drinking. If you are on a Nile cruise, avoid tap water altogether. Good walking shoes and sunblock is a must if you’re planning on exploring the pyramids and other landmarks. If you wish to be amid the hustle and bustle of the city, then Down Town is the place to be. With a wide selection of budget accommodation and convenient transport links to the main sites, you won’t miss a beat staying there. 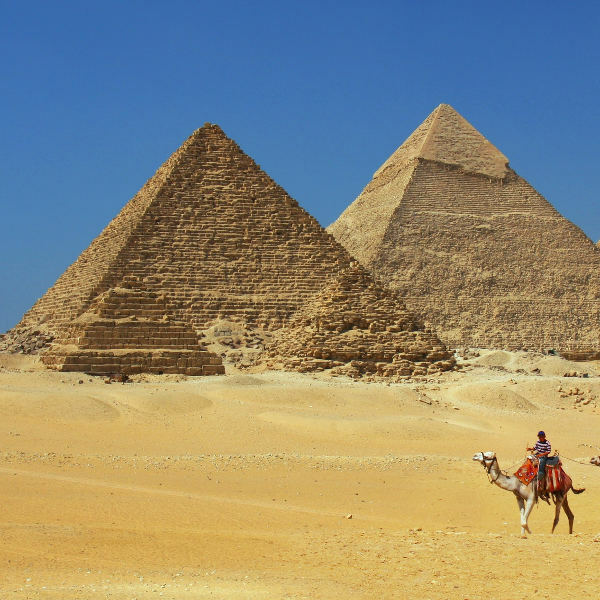 If your only interest is in the main tourist sites, then consider staying in Giza. It’s situated on the edge of town, on the west bank of the Nile, but there’s less traffic and the air is a bit cleaner. Who wouldn’t want to wake up to the magical sight of the Pyramids on their doorstep? If comfort and style are more appealing to you, the residential area of Zamalek has upscale hotels and many restaurants to choose from. When you’re done wondering through the boutique shops, go up the Cairo Tower and enjoy the splendid panoramic view of the city. The roads in Cairo can be quite overwhelming, so walking around the city might not be the best experience. Be careful when crossing the roads, as drivers do not often stop for pedestrians. Taxis are the primary choice for getting around. The black and white taxis are cheaper for short distances and drivers will decide to stop for you based on your destination. Fares tend to double if you catch a taxi from your hotel – rather walk around the corner for a better price. The yellow taxis operate via reservation, so you’d need to ask your hotel to arrange one a few hours in advance. They are metered with air conditioners and their rates are a lot higher. The CTA buses are fairly reliable, though you’ll need to check the destination with the driver. Avoid the micro buses as they are hazardous on the road!